5 Offbeat and Unheard Honeymoon Destinations in India! Are you bored of the mundane places in India and wish to spend some quality and alone time with bae? We feel you, dearies! Luckily for you we have shortlisted 5 such places that offer you peace, privacy and serenity. Check out these beautiful Indian places for your honeymoon. Ziro is a beautiful plateau situated in the heart of Arunachal Pradesh. It will disconnect you from your phones and connect you with nature. You’ll experience the “Yeh haseen wadiyan, yeh khula aasman” feeling first hand! The best time to visit is during the renowned Ziro Music Festival. Ziro is incredibly safe so you really don’t have to worry about anything. Things to do- Follow the biking and walking trail or just laze around on the grass. Pro tip- Try the rice beer in a bamboo mug! You can check more about Ziro and its tour packages here. Situated in the cosy laps of Himalayas, Spiti Valley is a hidden gem. The ideal way to get here is via a bike ride from Manali. Your best guides will be the monks who’ll happily help you with your way around. Head to Spiti for some authentic Tibetan cuisine! Places to visit- Kanamo Peak, Khoksar, Chandra Taal, Sissu, etc. Things to do- Spiti safari, Spiti trek, Thangka painting, etc. Pro tip- Don’t forget to carry some warm jackets! 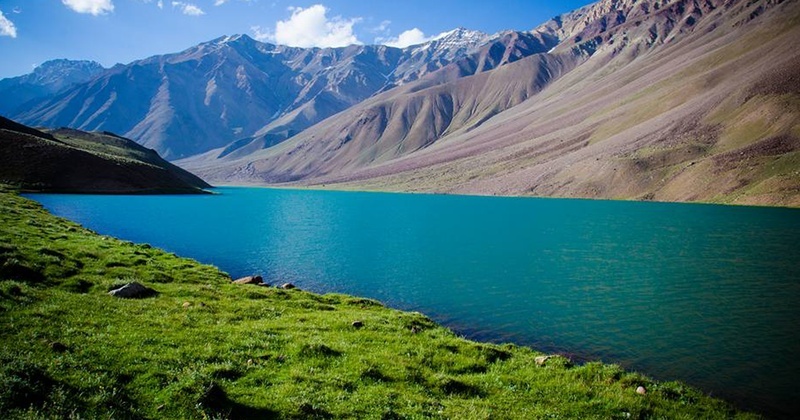 You can check more about Spiti Valley and it’s tour packages here. Kalimpong is a small hill station in the north of West Bengal. One can spot the beautiful snow laden Himalayas from a distance. The monasteries are a must visit. Places to visit- Deolo Hills, Golf Course, Cactus Garden, etc. Things to do- Hiking, river rafting, etc. Pro tip- Check out the tequila plant at the Cactus Nursery. Also, you have to try the mouthwatering momos in Kalimpong! You can check more about Kalimpong and its tour packages here. Want to escape from over crowded and dirty beaches? Then head to Varkala! Varkala is blessed with clean and quaint beaches. It is really mellow and relaxed. Sleep in, swim and chill out! Places to visit- Sivagiri, Varkala Tunnel, Nature Care Centre, Edava beach, etc. Things to do- Parasailing, paragliding, yoga, ayurvedic massage. Pro tip- Slather yourself with sunblock while visiting the beaches. You can check more about Varkala and its tour packages here. The world’s largest river island, Majuli has a unique serene charm to it. You can always spot the migratory birds in Majuli. If you’re looking for a romantic and serene getaway with bae, Majuli is the place for you! Places to visit- Kamalabari Ghat, Molai forest, Dakhinpat Satra, etc. Things to do- Pottery making, mask making, lunch at the banks of Brahmaputra river, etc. Pro tip- Do try the ‘Komal Saul’ a special type of rice that can be consumed without cooking! You can check more about Majuli and its tour packages here. So where are you headed to?